For onshore downstream developments, IOCs and NOCs generally need to construct multi-billion dollar ports before LNG plants can be constructed and hydrocarbons processed. 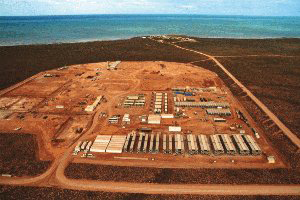 The development of new onshore port infrastructure in environmentally sensitive coastal areas takes many years, and significant political effort. The results are increased project capital costs, political and technical risks, and delays to revenue streams. By taking logistics off the critical path for delivering first gas, FiSH® floating ports reduce capital expenditure, mitigate risk, and allow revenue streams to be brought online sooner. A recent study indicated that by advancing schedule 1 year on a $30bn project, a $3bn increase in Net Present Value is achieved. Constructing onshore facilities to supply the enormous quantities of materials required takes years, and is one the highest project risks. By positioning close to early-stage onshore developments, FiSH floating ports enable site works to commence prior to port development. National Ports is the only Company in Australia to be Federal Government endorsed to operate as a floating port integrating Customs and Quarantine functions. For markets outside Australia, National Ports has established a Global Partnering Agreement with SGS for Government Inspection Services. National Ports offers clients a range of high-value services. These include; traditional port and stevedoring services, complemented by supply base support for; equipment warehousing, fuel & water storage and sales, workshop & service areas, lay-down and staging, heliport facilities, and accommodation. 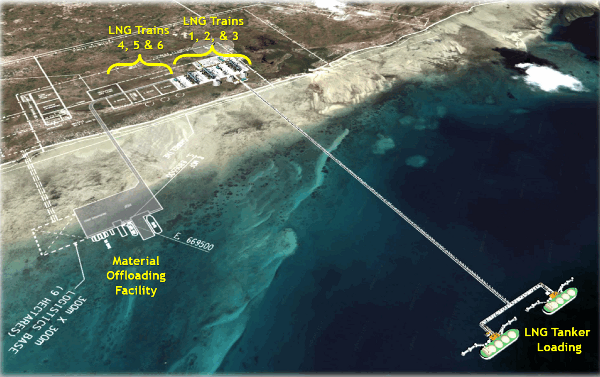 FiSH® Floating Ports: Capital efficient solutions for Greenfield downstream construction delivering 23 month schedule improvements for remote LNG developments.